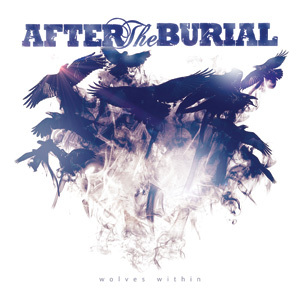 "ATB have found a collective cutting edge that's both extreme and versatile..."
Brimming with immense chaos and complexity, the three-year wait for After The Burial’s fourth full-length is answered emphatically with ‘Wolves Within’. Having garnered a reputation from their techy, eight-stringed, djent riff wizardry, the Minnesota quintet tighten the vice when it comes to captivating a precise, multifaceted metal hybrid, coming on leaps and bounds since ’10’s ‘In Dreams’. Whether it’s galloping through the crossfire of ‘Virga’, plucking relentlessly on ‘Nine Summers’, or simply pounding face with multiple punishing breakdowns during ‘Of Fearful Men’, ATB have found a collective cutting edge that’s both extreme and versatile. A beautifully crafted headfuck indeed.